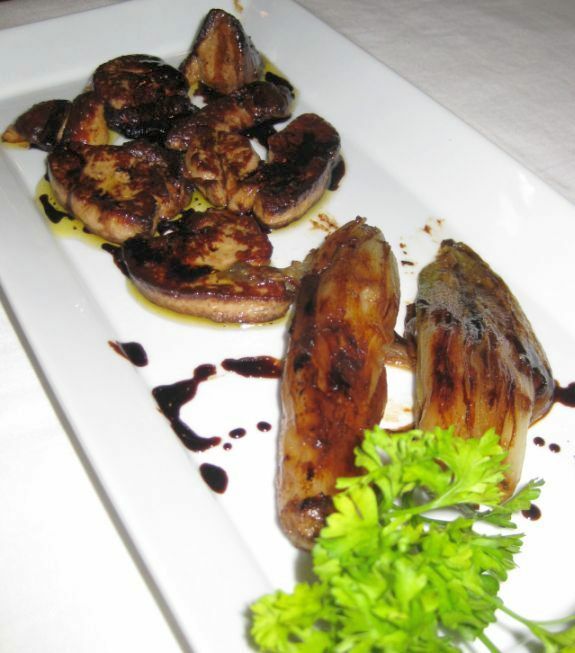 Foie Gras is the ultimate indulgence! 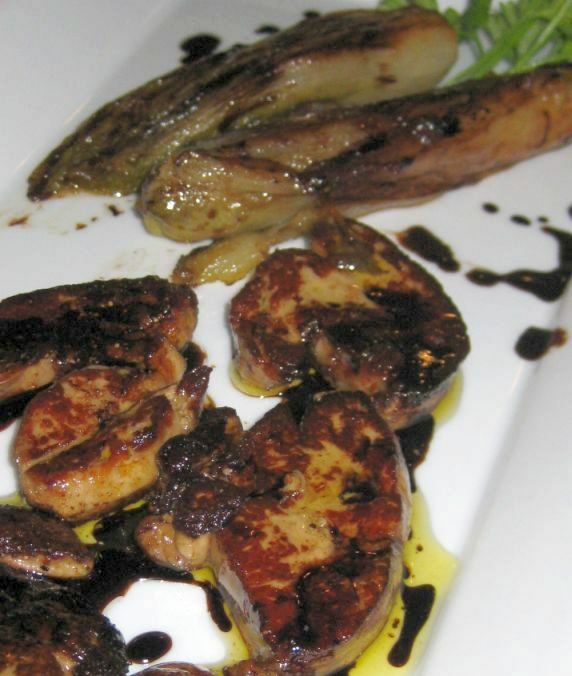 The taste of Foie Gras is rich, buttery, delicate, and it just melt in your mouth. 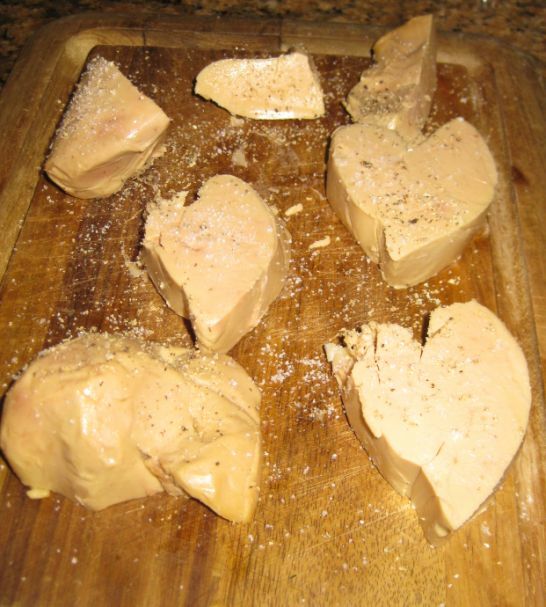 Foie gras is sold whole, or is prepared into mousse, parfait, or pâté, and may also be served as an accompaniment. 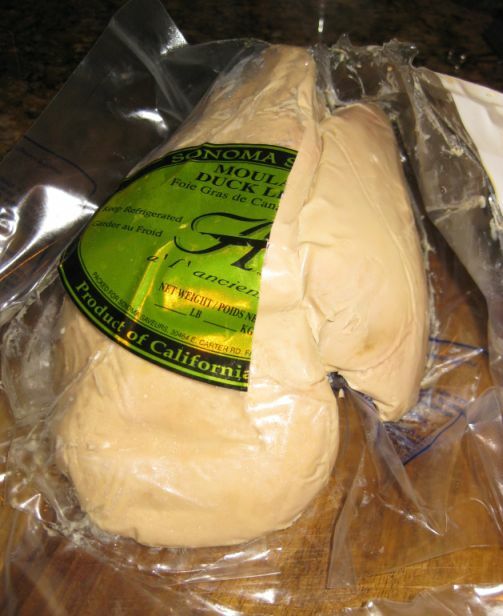 Foie gras is classified as Grade A, B or C. Grade A typically being the highest in fat and cost the most but it is what I always buy. I have never seen Grade B in any specialty store but is accepted for high-temperature preparation, because the higher proportion of protein gives the liver more structure after being seared. 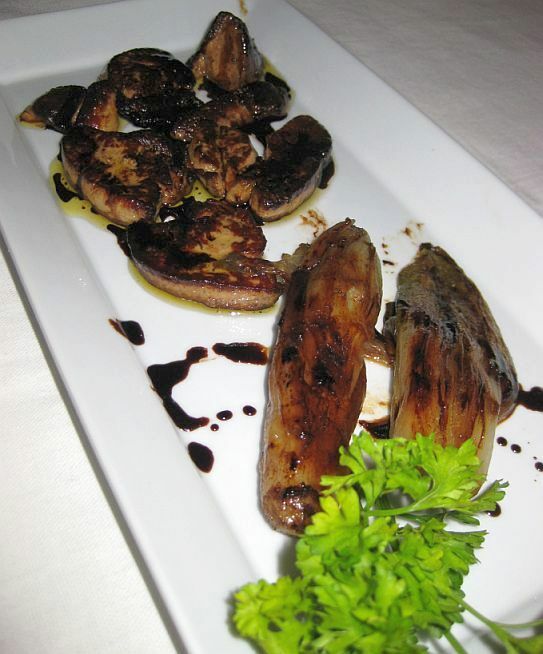 Grade C livers are generally reserved for making sauces as well as mousse, parfait, or pâté, and other preparations where the high proportion of blood-filled veins will not impair the appearance of the dish. This plate is for the three of us but Kevin ate most of it. Hoa and I we probably just have a piece each. 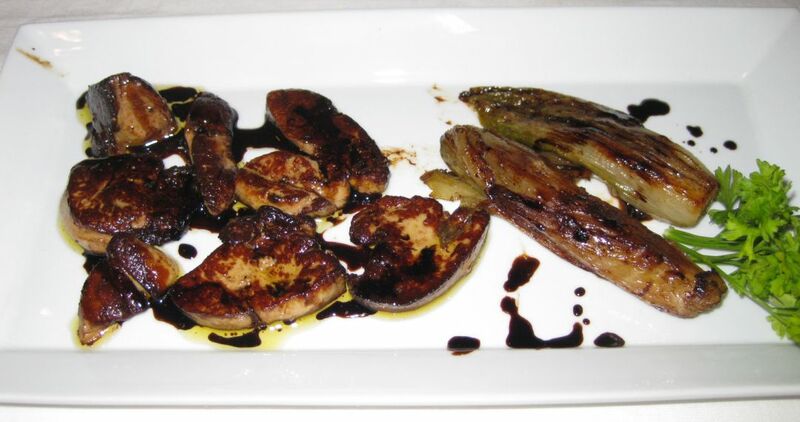 I pan seared the Foie Gras served it with a balsamic reduction and caramelized endives. 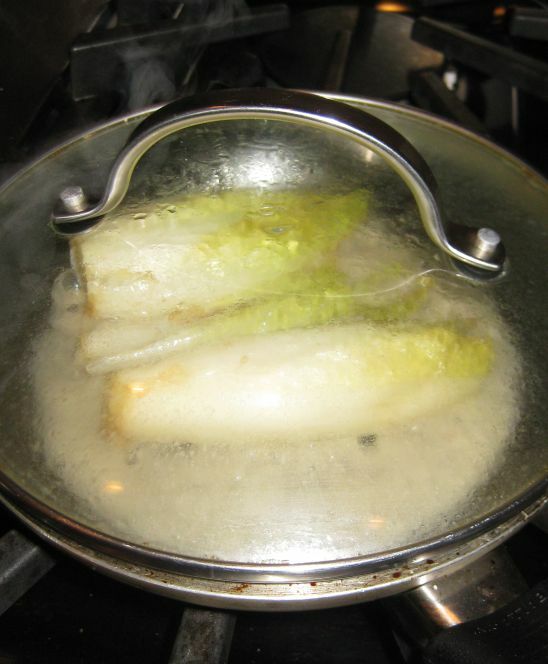 In a skillet melt a tablespoon of butter and add the endive. Once the butter turned brown, lower the heat to medium-low. 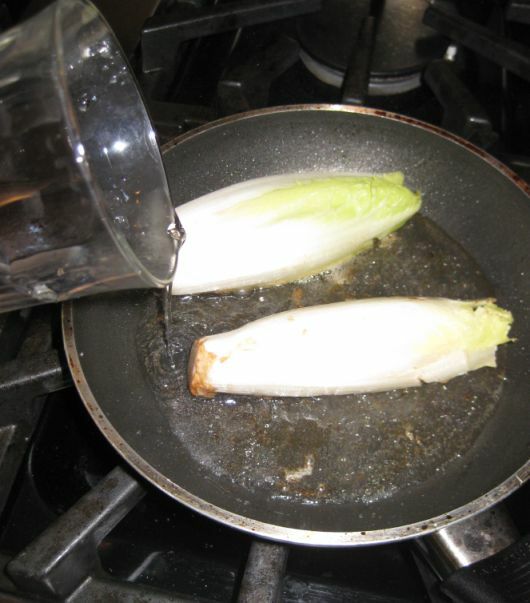 Add a bit of water to the skillet. 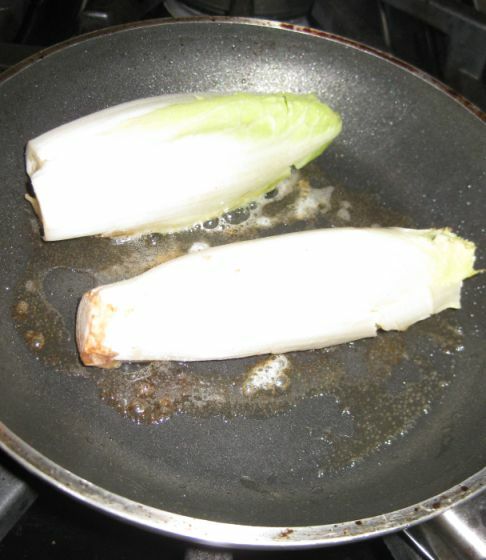 Cover the skillet and let the endive soften, about 5 minutes or so. Once all the has evaporated, remove the lid and turned the heat to high. 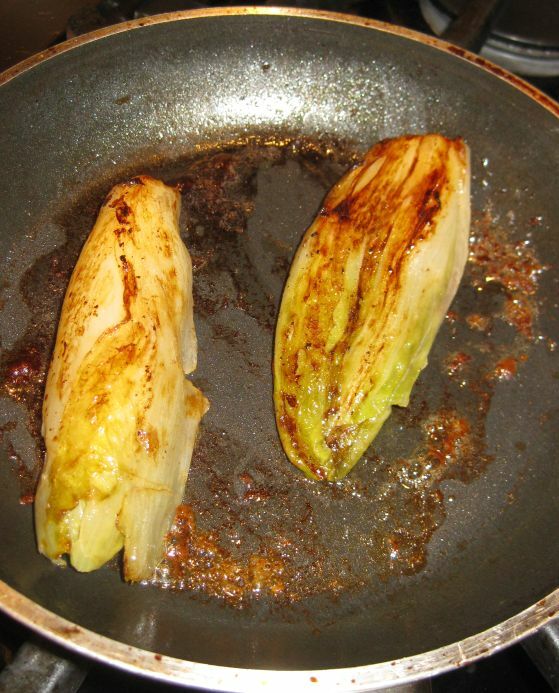 Let the endives caramelized. 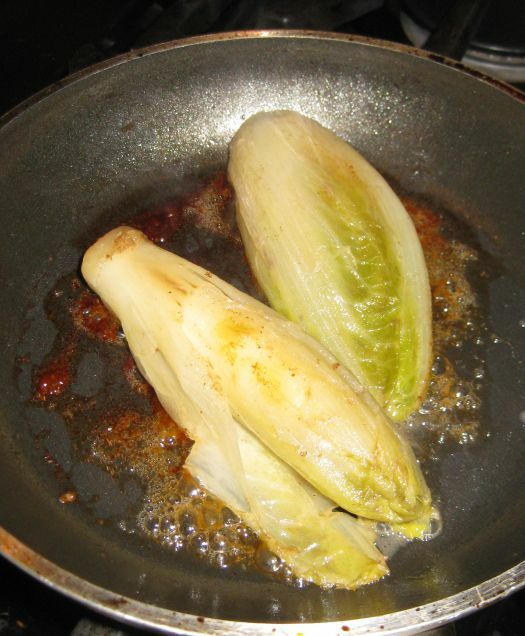 Turned them around so the endives are caramelized on the other side too. Add salt and pepper to taste. 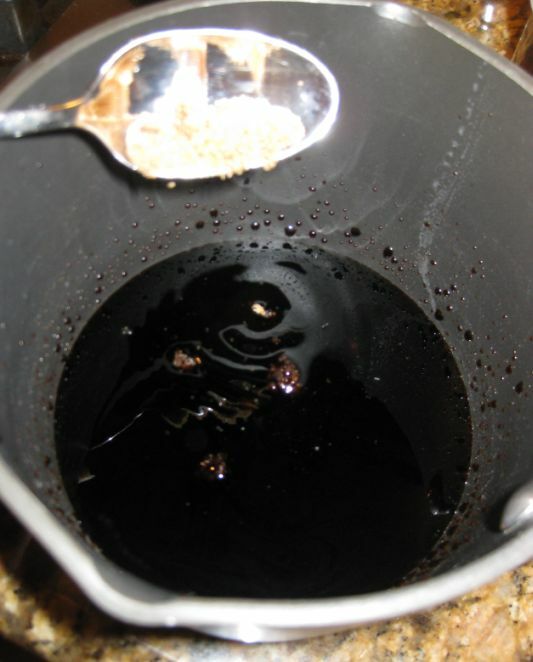 Pour the balsamic vinegar in sauce pan and add the sugar. Bring it to a boil and let it reduce down to half. 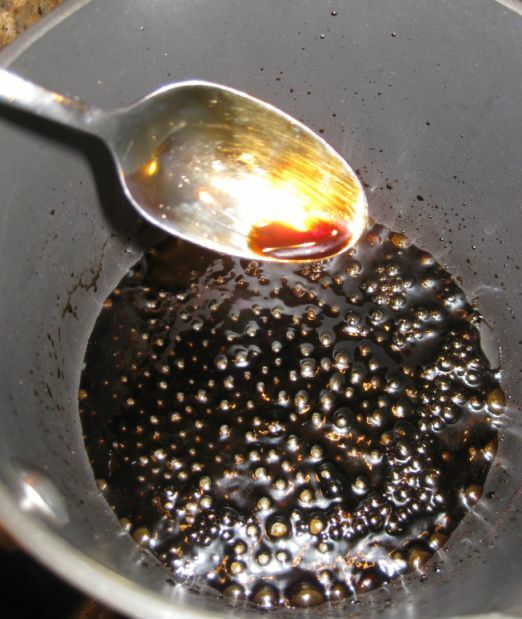 The sauce should be thick but pour-able and should coat the back of a spoon. 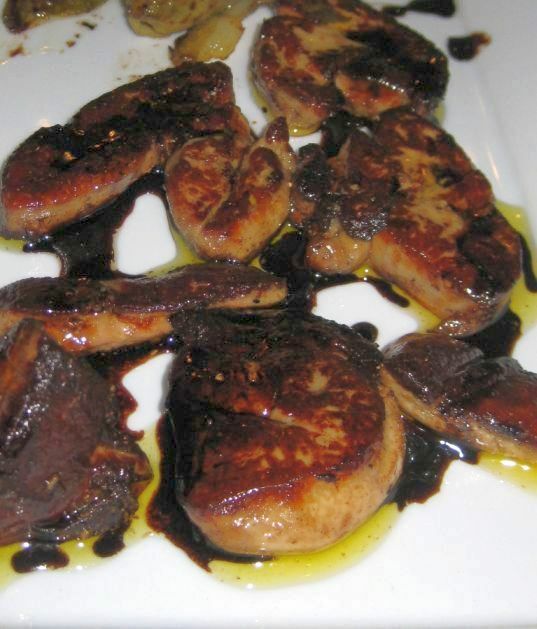 Here is my lobe of Foie gras. I only used the small lobe (on the right) for the 3 of us. Heat a cast iron pan until you start to see smoke coming up. 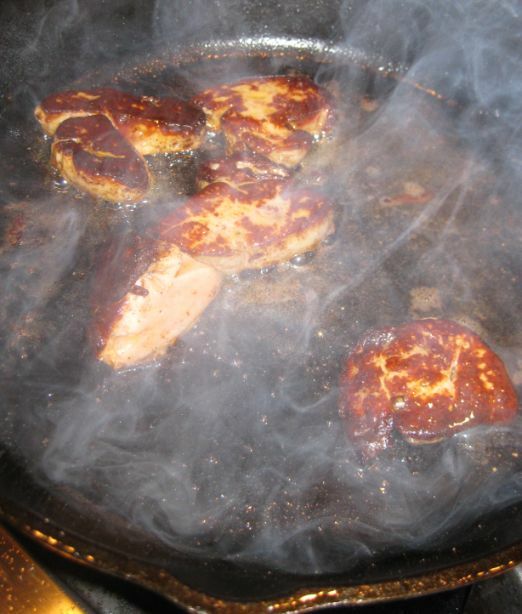 Sear the Foie gras until golden brown. 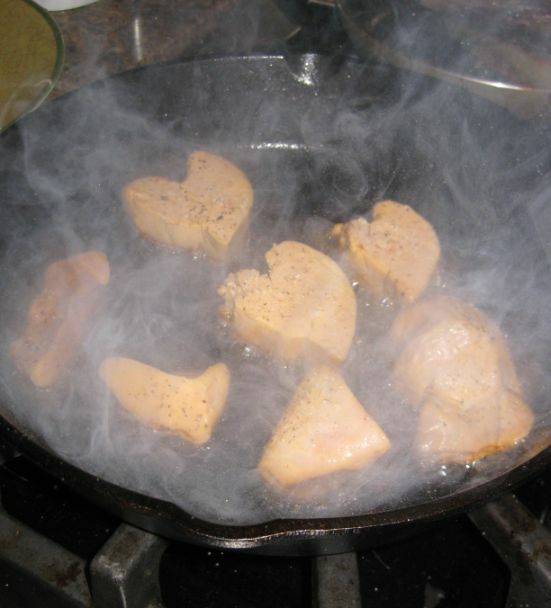 Turn the Foie gras and sear it briefly. Remove and put them on a piece of paper towel to soak out the fat.